Techno Aluminum Extrusion Table Plates - perfect for work stations and automated applications requiring aluminum extrusions, t-slotted table plates. This structural profile is made of extruded aluminum. Twenty T-slots are provided on one side. Several table plates can be joined together to make a table surface of any desired width. 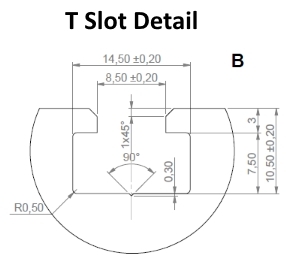 The T-slots are designed to use M4, M5, M6 or M8 square nuts, T-nuts described in our accessory section. 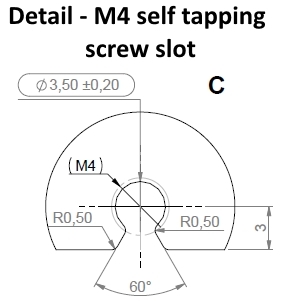 This Heavy-Duty Table Plate is intended to be used as a universal mounting platform and is suitable for machine tables which use T-slots to hold the work piece, gauging and test fixture. products, we reserve the right to make engineering changes.